Americans aren’t ones to settle down in one house and stay their for the rest of their lives. According to the Census Bureau, the American Community Survey estimates that the average American moves 11.7 times in a lifetime. 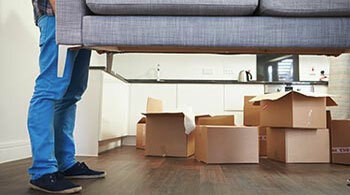 Moving offers the potential to generate a fair amount of waste. 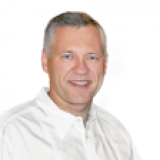 How can you make your next move without generating a sizable mound of waste for the local landfill? Americans rely on their gadgets now more than ever. A new iPhone comes out every year and those who want to be the owner of the latest, greatest smartphone are going to upgrade every year. New iPads and Apple TVs are also frequently updated, phasing out the old. Apple products are only a fraction of the electronics that are phased out every day. So, what happens to all the old electronics? 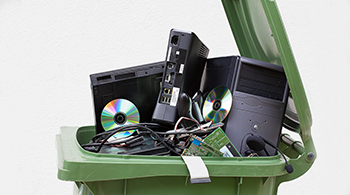 According to estimates from the EPA, in 2013 electronics in landfills, referred to E-waste, accounted for more than 3 million tons of materials. California was the first state, in 2003, to pass an E-waste law that pushed recycling of used electronics. Maine followed suite in 2004, requiring television and computer monitor manufacturers to divert their product from landfills while also picking up the tab for their disposal. Many other states have followed examples set by California and Maine, but there is still a need for more focus on recycling e-waste. “Going green” is no longer just a fad or a lifestyle choice – it’s a responsibility that everyone the world over needs to embrace as global warming proves itself to be a very real thing. You’ve probably already been involved in recycling at home for years. Now it’s time to go green at the office. 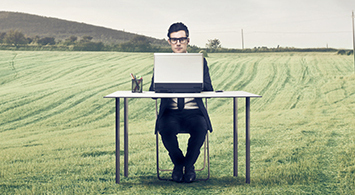 Here are 10 ways to be more eco-friendly at work. Every penny counts, especially if you’re a small business owner or employee. Reducing your electric bill is one way to see growth in your business endeavors while also being eco-friendly. Simple ways to see immediate savings include turning off lights in rooms that aren’t being used, and powering down when the office closes. Take it a step further by installing automated systems that turn lights on or off depending if the room or hallway is being used. 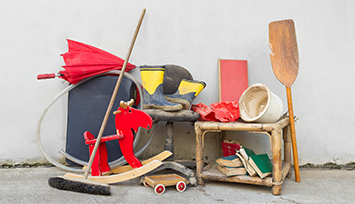 You’ve decided that it’s time to empty out years of collected “junk” in your garage. Or, perhaps you’ve taken on a project in the house that requires the gutting of one room or another. It is obvious that your trash service provider is no match for the amount of refuse you’re going to generate, so do you hire a junk removal company take get rid of it or rent a dumpster? The typical homeowner will not have the proper tools to deal with rubble left in the wake of a home improvement project. Taking multiple trips to the local landfill quickly becomes a far-fetched idea, but for those who want to take the more hands-on approach, renting a dumpster quickly becomes a top option. For those who simply don’t want to deal with it – hiring a junk removal service is more appropriate. Let’s go over some pros and cons of either choice. I’m Taking on a Roofing Project – What Size Dumpster Should I Rent? The average roof lasts around 20 years, which means there will always be a job for roofing professionals. Homeowners with wood shingle or shake roofing can squeeze around three decades out of their roofs while asphalt roofs can last as little as 15 years. 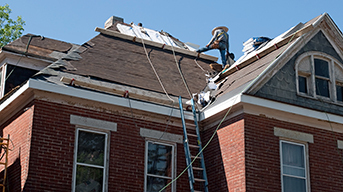 The life of a roof will also be affected by the severity of the weather it is subjected to. When it comes time to replace the roof, you will need to know what’s involved in hauling off the refuse, and the type of materials your roof is made out of will affect what size dumpster you will need. For instance, three-tab shingles and architectural shingles have different sizes and weights. By taking into account the size of the roof and number of shingles, you can calculate the weight of the refuse and rent a dumpster accordingly. However, be mindful of tonnage limits – if you go over, you will most likely be charged extra.